KAMPALA – The Minister of Works and Transport, Monicah Azuba has warned Parliament of the consequences that will befall Uganda if the payment for funds meant for the two Bombardier jets to be used by Uganda Airlines is delayed, saying the manufacturer has many orders and has no time to wait for Uganda’s funds. The Minister made the remarks today while meeting with MPs on the Parliamentary Budget Committee that is considering supplementary funding to a tune of Shs1.1Trn, of which part of the funds will go towards paying for the two aircraft. Azuba told the Committee that Uganda ordered for six Bombardier jets from Canada and the agreement stipulated that the delivery was to be made in three phases with the nation having failed to hit the deadline for the first phase in which the two jets were meant to be delivered by February 2019. The Ministry of Works said that the two bombardier jets are ready for deliver and the only delay has come from the failure to pay the deposit payments and failure to meet the renegotiated agreement, it will mean Uganda will have to incur costs of insurance, parking fees as the planes lie idle with the manufacturer ahead of their delivery. The Minister also revealed that the Ministry’s technical team is already in Canada to start aircraft approval process and according to the plan, the aircrafts are supposed to fly from the manufacturer’s plant by 3rd April 2019 and arrive in Entebbe on 8th April in 2019. 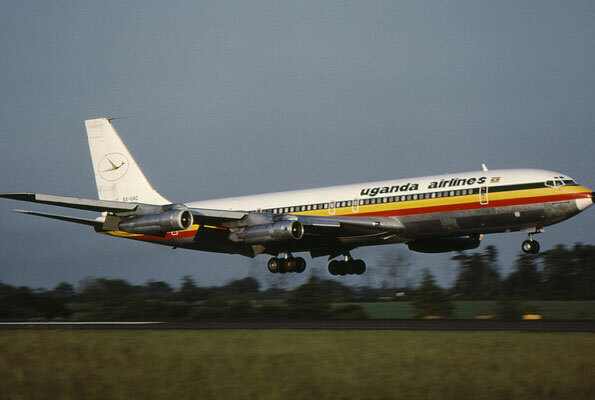 However, there were questions raised by MPs over the company going to run the airline after the MPs discovered that Uganda National Airlines Ltd is registered by a private individual but the Minister insisted that although the company is privately owned, it will be run as a public company with Government owning 100% shares. Roland Mugume (Rukungiri Municipality) tasked the Minister to explain why the pilots who are set to run aircraft aren’t catered for in the airline’s business plan. Kenneth Lubogo (Bulamogi County) also questioned on when the licenses to run the airline will be obtained after the Minister revealed that efforts have been put on acquiring the aircrafts and later look at obtaining licenses from the Civil Aviation Authority. “I need clarification on when the permits will be issued because we don’t expect these planes to come and lie idle there. How long will it take for government to get license and permits and when do they start flying?” asked Lubogo. Peter Ogwang (Usuk County) wondered why the Ministry isn’t following the international standards when it comes to expansion of Entebbe airport by using bricks and sands yet the other airports around the world are doing away with such materials for steel. He also wondered if all public servants will be compelled to fly with the national airlines to its flight destinations saying there is need to sustain the airline. In 2018 Government ordered for the manufacture of aircrafts to a tune of USD190M approximately Shs702,842,719,659Bn for the four CRJ 900 jets from Bombardier, a Canadian manufacturer for regional airliners and whereas Government had earlier agreed to obtain the money through external funding, the decision was later dropped and opted to have funds raised from the Petroleum Fund and licensee fees paid by MTN recently going to the payment to the firm. 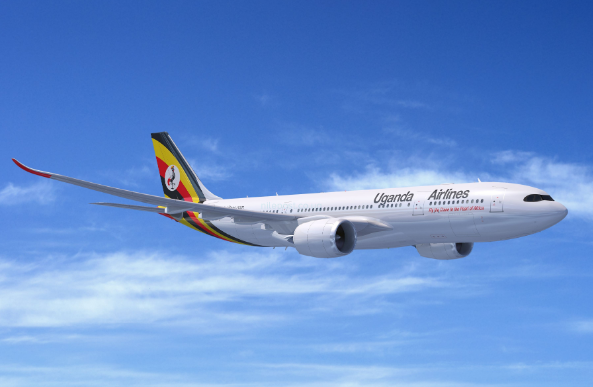 “We have also received external financing of USD 106M have resolved that we finance the first phase of the Uganda airline will be ready and it requires Sgs280bn instead of borrowing externally we shall use proceeds from MTN license and capital gains tax to be used to complete for the first phase required in the next ten days,” David Bahati, State Minister for Planning said while introducing the supplementary funding recently.